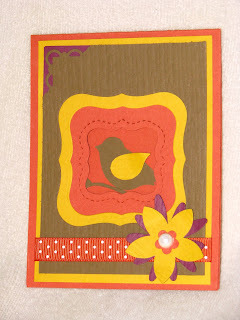 Oh my the month is almost gone and I barely posted at all, so I thought I better get something together to share, so here is a card using the XL bird punch and my first time using my SU movers and shapers die set, I hope you like it. Also Iam working on some Easter projects and hope to share then real soon. Thanks for stopping by.